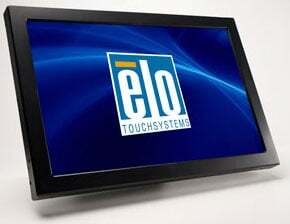 The ELO 2242L is a 22-inch open-frame touchmonitor with IntelliTouch Plus touch technology that provides OEMs and design engineers the ability to develop multi-touch applications compatible with Microsoft Windows 7 operating system for dynamic, reliable touch-enabled applications, including graphically-intense kiosk applications such as photo kiosks, gaming, concierge and other guest-engagement hospitality experiences. Gaming and hospitality environments present unique performance and durability requirements for touch screens and the Windows 7 operating system delivers distinct design advantages with its stable and innovative touch interface. The 2242L blends these market needs and OS-capabilities of Windows 7 to provide an increased range of touch options for these applications. The Elo E667969 is also known as Elo Touch Systems	ELO-E667969	.